Osun State Governor, Mr Rauf Aregbesola, has described his Chief of Staff, Alhaji Gboyega Oyetola, who is also the governorship candidate of the All Progressives Congress in the state as the best candidate to succeed him. 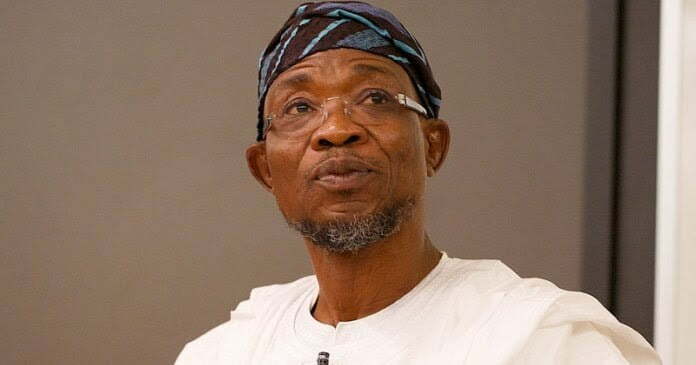 Aregbesola said this in a statement made available to our correspondent in Osogbo on Wednesday by the Director of Publicity, Research and Strategy of the APC in Osun State. Speaking in Ile-Ife during his visit to the Ooni of Ife, Oba Adeyeye Ogunwusi, at his palace at the commencement of the governorship campaign of Oyetola, the incumbent governor said the APC candidate was well equipped with the knowledge of governance and experience needed to lead the state at this time. Aregbesola said, “Oyetola has justified his capacity and capability as a man of impeccable character and worthwhile personality who remains dogged and forthright to all policies that had impacted positively the lives of the citizens. Oyetola said his administration would prioritise the welfare of the people and the traditional rulers and as well work assiduously to advance traditional institution, culture and tourism. He identified road infrastructure, education development, skill, technical and vocational education, health sector advancement, agricultural development among others as the continuation of Aregbesola’s legacies. The Ooni lauded the administration of Aregbesola for his development programmes and for bequeathing a legacy of a peaceful transition to the kingship stools in the state.